The Yoshi series has remained a constant among Nintendo’s pantheon of games. Whether you love them, hate them, or forget they even exist, the delightful and colorful explosion of vibrant hues that is the series’ staple will grab hold of you once again for this all-new adventure of both new and familiar proportions. Yoshi’s Crafted World takes the aesthetic in an entirely new direction, with every tiny detail of the game beautifully rendered in everyday household items, cardboard, strings, glue, and so much more. The gameplay is familiar and designed to present simple yet engaging puzzles that pull you into this brilliantly crafted world and force you to take a good long look at the incredible work put forth in making such a unique experience. Of course, there is much more to the game than just its aesthetic so check out our full video review below to see exactly what we had to say. 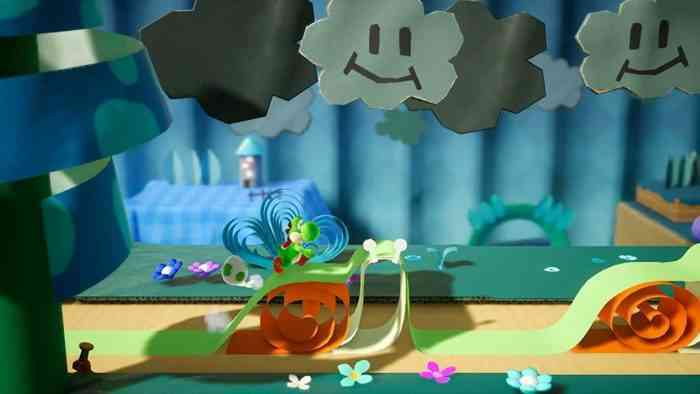 Yoshi’s Crafted World is the latest entry in the Yoshi series of games, this time expanding on the Wooly World aesthetic set forth in the previous title and this time expanding to make the entire game built out of various arts and crafts materials. popsicle sticks, cardboard, glitter, glue, buttons, anything that has ever been used in a crafting project has been beautifully rendered to make this environment that up to two players can explore from both sides of the side-scrolling path. While it is a charming delight to play the game, its biggest and most curious fault is the repetitious soundtrack found throughout. Yoshi’s Crafted World launches March 29 and will be exclusive to the Nintendo Switch. For more information check out the game’s official website.